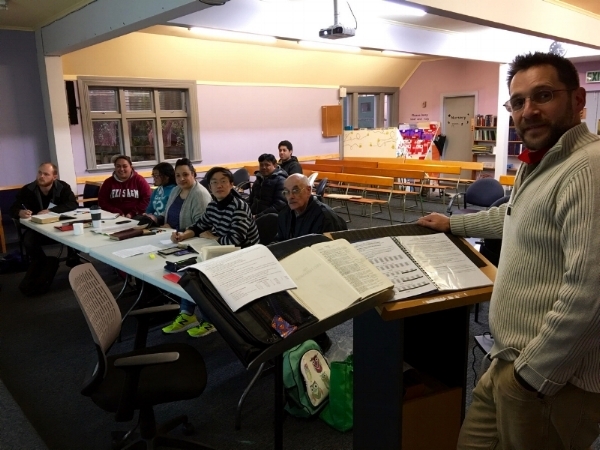 The seeds of Bear Valley Bible Institute-New Zealand were planted in June 2015, when John Jones, missionary to Porirua, New Zealand, met with Keith Kasarjian, the then director of BV extension studies. Six months later, Keith visited New Zealand, and in August 2016, BVBINZ was up and running with Lance Mosher as director! BVBINZ serves somewhat as an experiment, in that there is one school in the nation, but it has two centres. The main campus is in Wellington, the nation’s capital, and the secondary campus is in Auckland, the nation’s largest city. Teachers and students alike are able to participate through video conferencing. As of December 2016, there are twelve students and eight instructors in all. The students at BVBINZ are in a blessed position to learn from qualified men. All instructors have received degrees in Bible from either brotherhood universities or training institutes. In addition, half of the instructors have Master degrees, and one has his Doctorate.